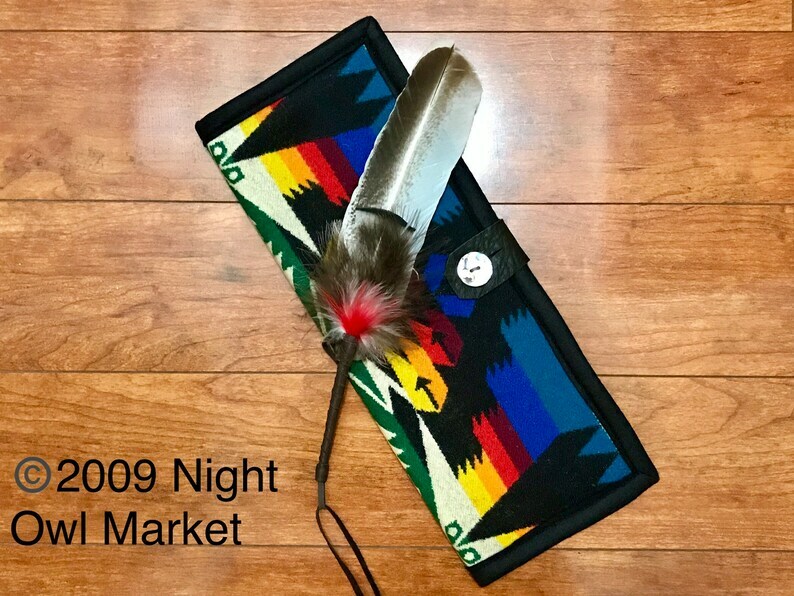 Protect your feathers in beauty with this Feather Holder handcrafted from Pendleton® wool - an original Night Owl Market design. This feather holder is handcrafted from Pendleton® blanket weight wool. The feather holder is fully lined with red felt, and is bound with Pendleton® blanket binding. Binder board is used on the inside to keep your feathers from bending. Note: The smudging feather is for demonstration and is not included. Want a feather holder in a different color or size? The last picture shows examples of feather holders in other colors. Just use the Request Custom Order or Ask a Question link with a description of the color you'd like to have.